Give a literary spin to your favorite cocktails. If you’re a fan of Jane Austen, try Rye and Prejudice, a grapefruit and rye whiskey concoction. Whip up a S(ide)carlet Letter in honor of Nathaniel Hawthorne’s classic tale. How do you take your Turn of the Screwdriver? Levelheaded or a little crazy? The governess of Henry James’ novella inspires two versions. And if classics aren’t your things, there’s a few drinks for more contemporary readers with the Joy Luck Club Soda and Bridget Jones’s Daiquiri. Mystery fans in particular might appreciate the Malted Falcon, a butterscotched malt liquor concoction honoring Hammet’s noir classic, or the Adventures of Sherbert Holmes, a frosty champagne sherbert concoction honoring Doyle’s beloved sleuth. 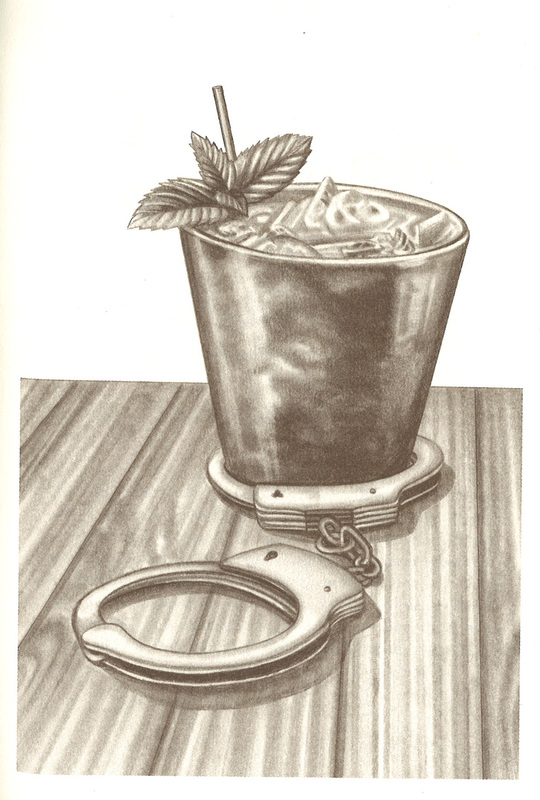 Might you try a Crime and Punish-mint? This clever, witty guide serves up each cocktail entry with a few words about each book. Some of the cocktails are straight up versions of classic cocktails with a literary pun name. For instance, the Yellow Wallbanger is merely a renamed Harvey Wallbanger. It’s the packaging, however, that makes this little guide fun. Complete with whimsical illustrations, “games for geeks”, and more, this guide serves up the usual tips and tricks for mixing drinks and over 60 drinks to sample. This little guide is a perfect reference for potentially creating a old-fashioned cocktail party. It even includes a few literary-themed hors d’oeuvres like the Deviled Egg Wears Prada. Don’t try them all at once; drink responsibly! 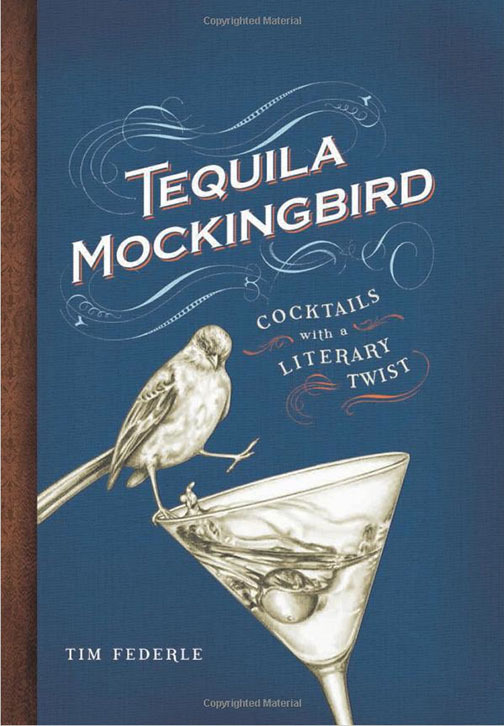 Tequila Mockingbird can be found in libraries and bookstores. It was released in 2013 by Running Press.